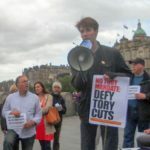 The National Minimum Wage goes up by 38p on Monday April 1st from £7.83/per hour to £8.21 thanks to the Scottish Socialist Party and campaigners like us. 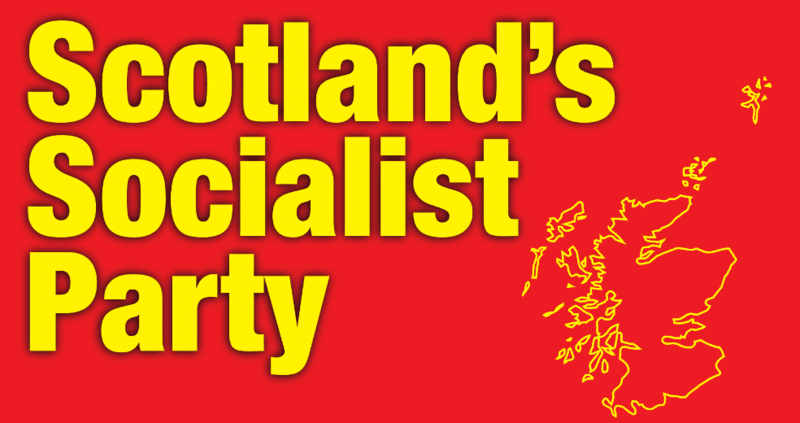 The SSP marked this over the weekend by taking campaigns onto the streets with stalls in both Glasgow and Edinburgh. 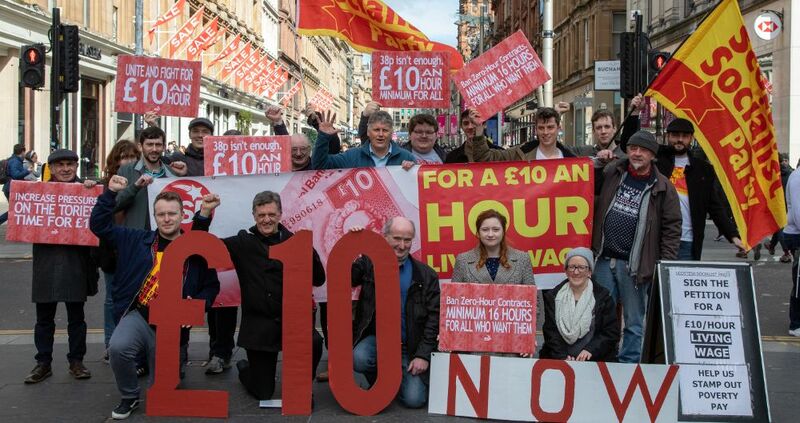 “On the streets we have collected over 100,000 signatures pressing our demand for a £10 an hour minimum wage for all irrespective of age – and our work in the unions means that this demand is now the policy of the TUC. It’s not enough of course – we want £10/hour because that’s the rate the Government say you need to be earning to pay your own way. Thirty Pence is not Enough! 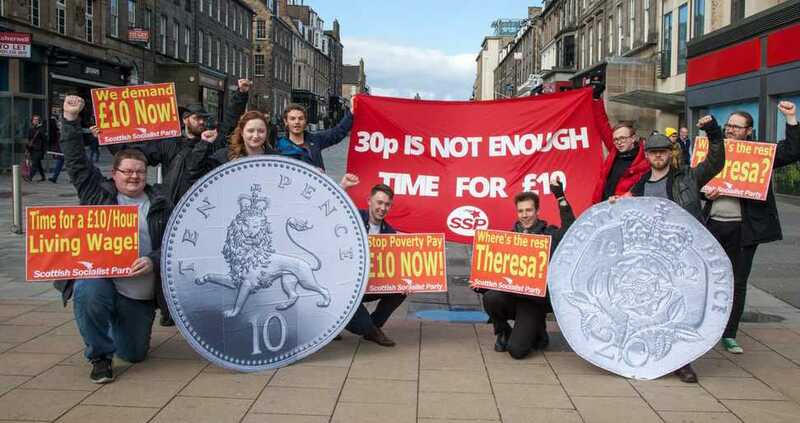 People who have spent a little time in Edinburgh will know the SSP Living Wage campaigns regularly on Princes Street. Sunday the 1st of April saw the Lothians branch pull off something a little different. On Easter Sunday, the Minimum Wage for those over 25 rose by about 30p, up to £7.83. If you are 25 or over you are legally guaranteed that in the workplace. If your employer is paying you less, they are breaking the law. Yet there are glaring omissions in this news. Not only are people under 25 missing from the increase, but there is still at least £2.17 per hour also missing. 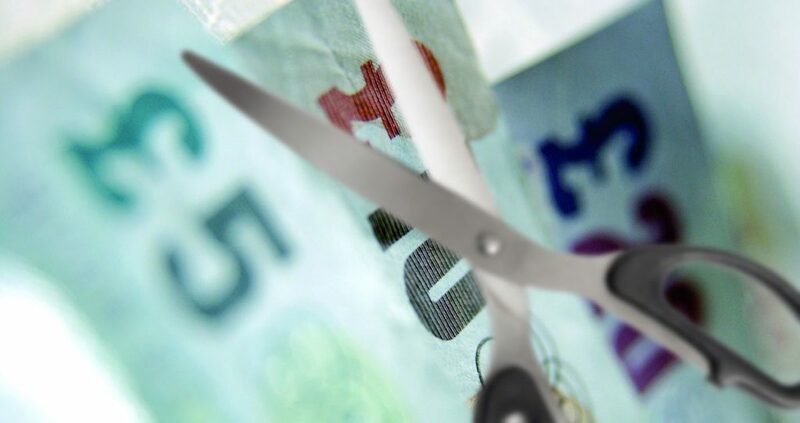 A shocking analysis from the TUC – using data from from the Organisation for Economic Cooperation and Development (OECD) has found that workers in Britain, virtually alone across 35 OECD nations, have seen average wages plunge in value since 2007. Only workers in the crisis hit economies of Greece and Portugal have also seen average wages fall during the last decade. By contrast average wages in all 35 countries surveyed grew by 6.7%, in Germany they grew by 13.9% and in Poland by 23%. “WHERE’S THE BEEF” WITH FIRST MINISTER’S ‘TIMID’ LEGISLATIVE PROGRAMME? 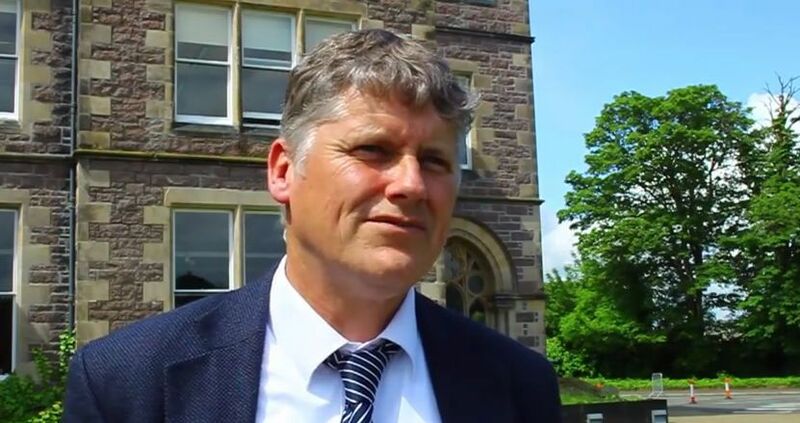 SSP national spokesman Colin Fox today described the Scottish Government’s Legislative programme as “timid’ adding it represented merely ‘more warm words which leave ingrained social equality untouched”. As we leave 2014 behind and enter 2015 we find the political map of Scotland dotted with question marks. What has been the lasting legacy of that amazing referendum campaign? Who stands to benefit most in this year’s General Election? Will the SNP maintain poll ratings of 40% plus and hold on to 100,000 members to emerge as Scotland’s largest party at Westminster? 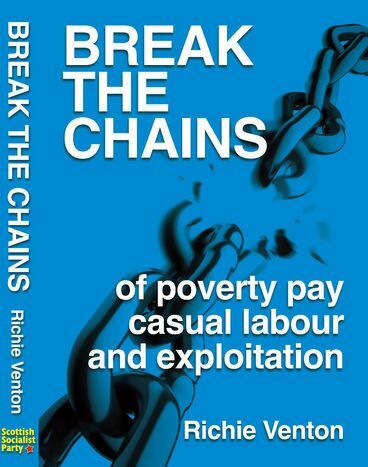 Scotland’s working class majority can expect more job losses like City Link, more insecurity and financial hardship stuck in dead end jobs, paying poverty wages, enduring zero hour contracts.